So, it's the end of May already. How have we ended up here? A minute ago I feel like I had just started my new years resolutions (which I haven't stuck to by the way because, well, who does? ), was so excited for the year ahead and so ready to see what this year had to offer. Now, don't get me wrong, I'm still excited for what the rest of the year is going to muster up, but I'm so not able to get over how quickly the past 5 months have passed me by. They've literally disappeared before my eyes. I'm kind of scared about the fact that I can barely remember what I've got up to these past few months. Saying that, I'm going to try and take more notice, put in more effort, to seize the day, especially now that it's Summer time. I'm trying my best to make the most of each day. I'm trying to not let the hours pass by and be wasted. If the sun is out and everyone's in good spirits, why on earth not, right? I'm putting myself out there into the world. I'm pushing myself out of comfort zone. I'm trying to live each day to the fullest before it passes me by again. I think that's the best way to be these days. Before I know it, it'll be a month after writing this post and I want to be able to remember all the amazing things I did with my time. My gorgeous Henry London watch is going to my lovely little companion with this. I never normally accessorize with watches, but since receiving this amazing Westminster gold one, I haven't been able to take it off. 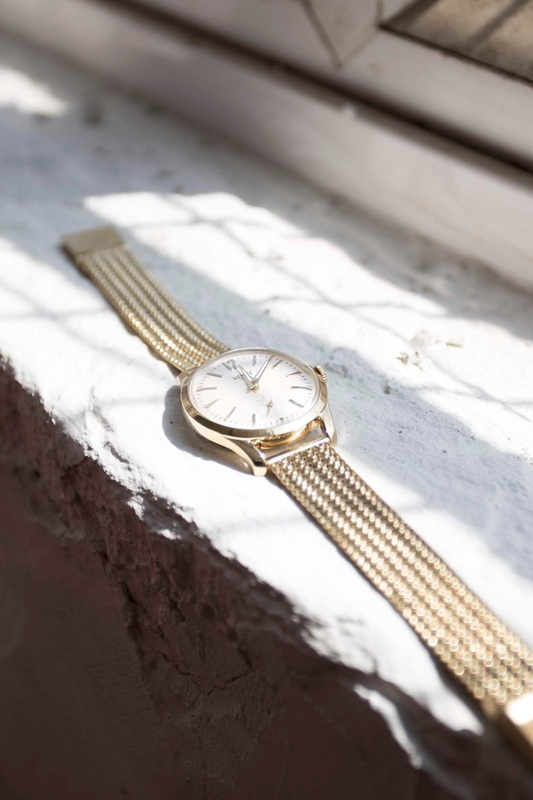 There's something so classic and simple about wearing watch, keeping an eye on the time - it really reminds me to slow down, make the most of those little ticking seconds. Plus, it totally helps that the watch is so so beautifully designed. I love that despite it's small size, it's still able to make such a statement with my outfits. Here I've styled the watch along with a very 'classic' Hol look. 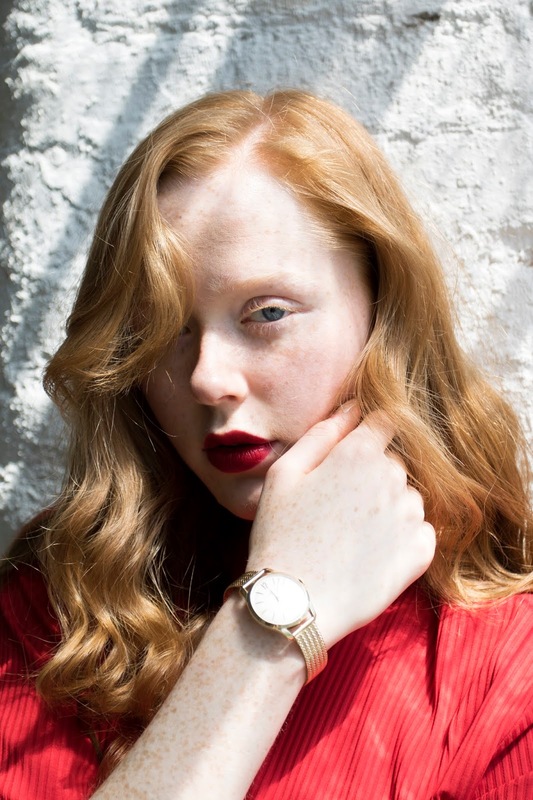 Red head-to-toe, rays of sunshine, and red lipstick - yet despite all the red, the watch is still doing all the talking for me! It's such a timeless little piece, I love it. To get your hands on this gorgeous watch yourself, simply click HERE and you'll be taken straight there! The gold watch really stands out to all of the red going on, and I love it! I'm not usually one to accessorise with watches, either, but this one is so very lovely. You're so right - this sunny weather does kick in the adventurers within us, and it's gotten to the point where I count it as a wasted day if I haven't been outside with my friends. "So, I Feel A Little Broken"